War is the inevitable result when the King of France demands that John relinquish his crown in favour of his nephew, the young Prince Arthur. Excommunication, attempted atrocity, rebellion and assassination all contribute to a political and personal turmoil that finds devastating expression in an anguished mother’s grief for her son. Tom McCamus as King John in King John. Photography by David Hou. Seana McKenna as Constance and Noah Jalava as Arthur in King John. Photography by David Hou. Members of the company in King John. Photography by David Hou. Enter the dark and dangerous world of King John in Shakespeare's majestic drama of ambition and betrayal. 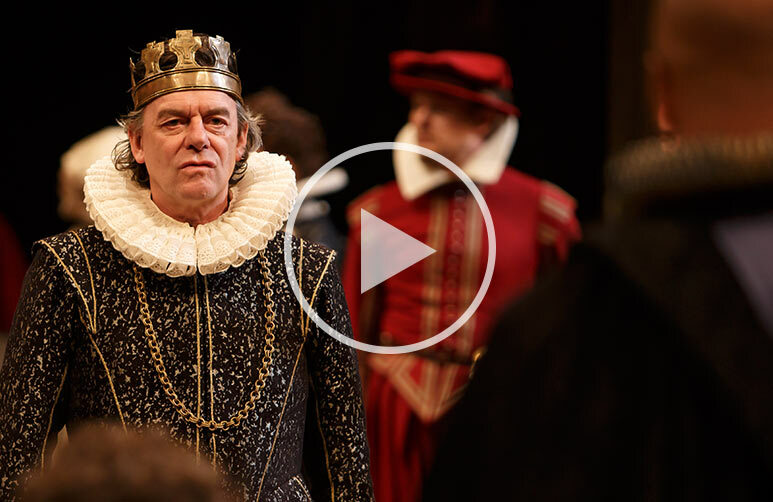 Watch King John On Demand Now!